Song of a Northern Mole Cricket (scroll down for explanation and additional recordings!). to defend the eggs. Capturing Northern Mole Crickets is a supreme challenge. With difficulty, they can be flushed from their burrows, or else collected in special pit traps designed to catch dispersing individuals. 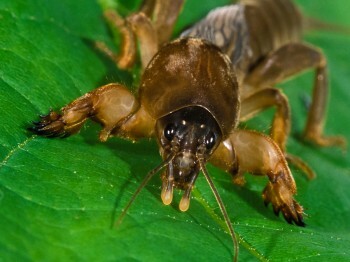 Song: The song of the Northern Mole Cricket consists of repeated chirps, given at a rate of about two per second. Each chirp is actually a brief trill composed of about 8 pulses. The frequency of the song is quite low for an insect, about 2 kHz, making it the lowest-pitched singer of all our native crickets. Sonogram of a Northern Mole Cricket. © Wil Hershberger. Betoptic S buy cymbalta prescription online can cause blurred vision..